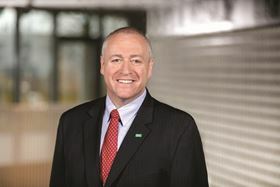 Sean Cromie, president and general manager of Life Sciences & Environment at Mann+Hummel. Mann+Hummel has appointed Sean Cromie as president and general manager of its Life Sciences & Environment business area. Cromie has 15 years of experience in the aerospace industry and was most recently vice president and general manager Interior Products and Services for Rockwell Collins Aircraft Interior Systems. Mann+Huumel’s Life Sciences & Environment business is home to the company’s water filtration and air filtration segments as well as future solutions outside the automotive sector. The Mann+Hummel Group enters into a definitive agreement to acquire US-based air filtration company Tri-Dim Filter Corp. The Mann+Hummel Group meets its own forecast with preliminary sales of Euro3.9 billion in 2017.